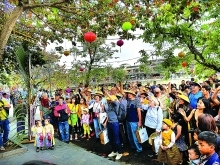 The two-day festival includes photo exhibitions on the natural beauty and people of Trung Khanh district, lion and dragon dances, love duet singing, and sporting events. Visitors are also invited to take part in exciting folk games, such as tug of war, con (cloth ball) throwing, stick pushing, and catching ducks while blindfolded. 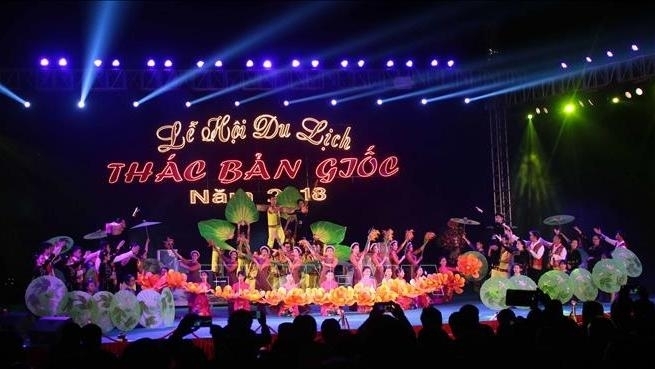 A cooking contest, a painting competition on the Ban Gioc waterfall, a road bicycle race, a boat race, and booths showcasing tourist products and dishes of Cao Bang are also scheduled during the festival. The festival also features art performances of troupes from Guangxi province, China, which aims to promote the traditional friendship between the peoples in Cao Bang and Guangxi provinces. Ban Gioc waterfall is located in Dam Thuy commune, Trung Khanh district, on the border with China’s Guangxi province. The waterfall was named one of the ten most spectacular waterfalls in the world by the travel site Touropia.